Basic custom imprint setup & PDF proof included! 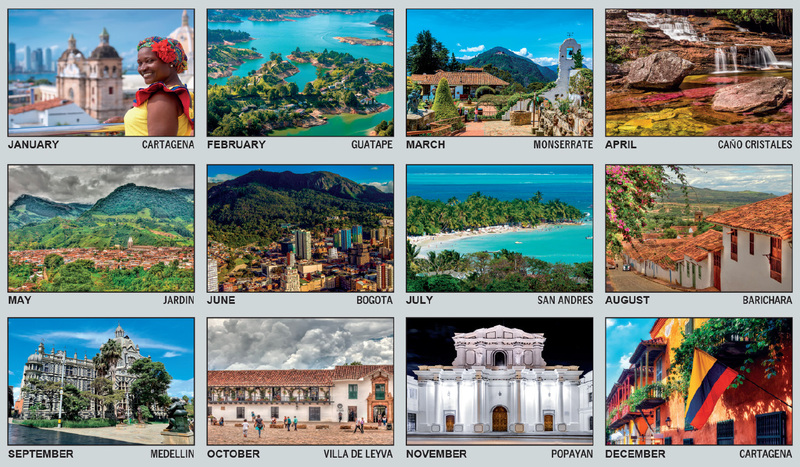 This 12-month Spanish advertising calendar captures Colombia's rich land, culture and history beautifully for you. From the Amazon to the Andes, the Pacific to the Caribbean Coast, Colombia's beauty will be viewed and enjoyed all year long. 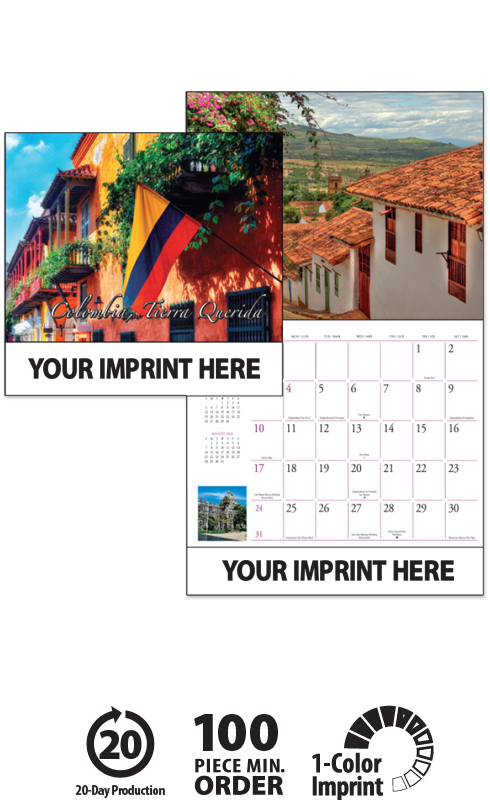 This personalized wall calendar features three languages (English, Spanish and French) all printed on each date grid. 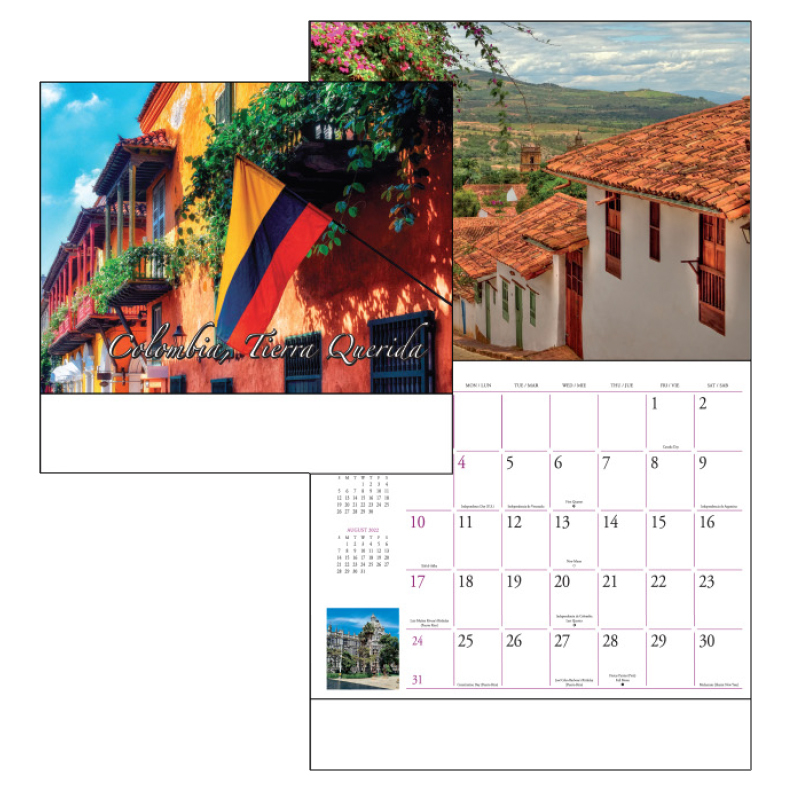 These high-quality Promotional Columbia; Tierra Querida Calendars will proudly display your message for the entire year!